For years now, I've seen the brilliant art of Dave Perillo here and there online as I've searched for minimalistic art related to some of my favorite films. Unexpectedly, I recently got a chance to meet him in person while attending this past Philadelphia Wizard World Comic Con- May 7th through 10th! Dave is a fantastic pop culture artist who also is officially licensed by Disney. I first saw his work when he released his stunning limited edition "25 Years of Pixar" print that sold exclusively at the 2011 D23 Expo (seen below). Unfortunately, I've never been able to obtain that piece, but I've come across it countless times (and envy all those who have it hanging on their wall at home). I was attending the Comic Con with my Brother Rob (of Herofied Art) helping him run his booth at the show. When I had time to take a break, I would walk around the convention floor searching for any cool merch that stood out to me. 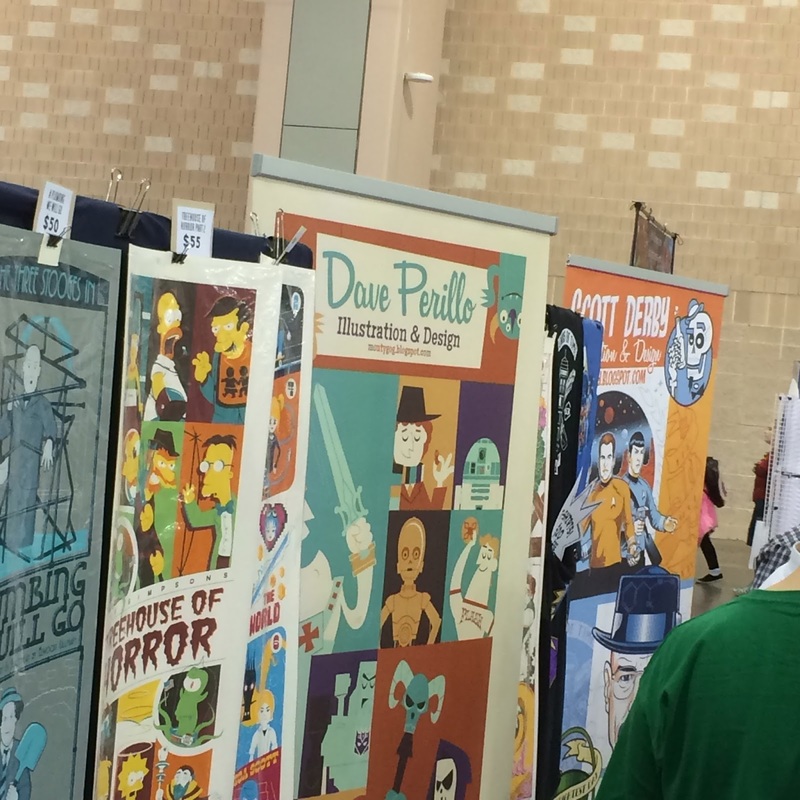 While wandering in the "artists alley" section, I recognized Dave's style from a distance and made my way over, not even thinking too much of it. When I got there, I realized how much of this guy's art I actually recognized and we started up a great conversation about the work he does for Disney and so much more! It was definitely the highlight of the trip. 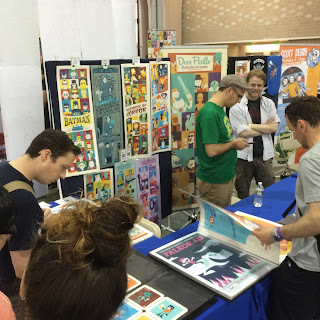 During the four days I was there, I was able to get over to Dave's booth to chat quite a bit about his art, all the things we love in common (like Disney and Pixar of course) and what it's like to be officially licensed by "the mouse"- really good times! 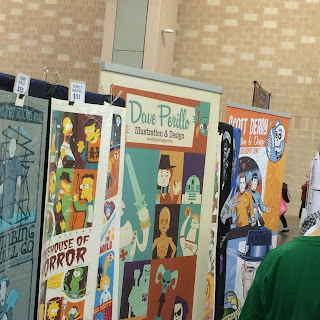 He's a super nice, down to earth guy and a very talented artist; if you ever have a chance to meet Dave at any of the conventions he travels to, don't miss out! You can check out his portfolio on his blog Montygog (as well as all his upcoming shows he'll be attending). If you like what you see, be sure to hit him up on Instagram as well! And by the way, if you're also a Star Wars fan as I am, you have to check out the Star Wars pieces he's done. I couldn't resist buying a few myself! Really quality stuff...can't wait to see what's next.